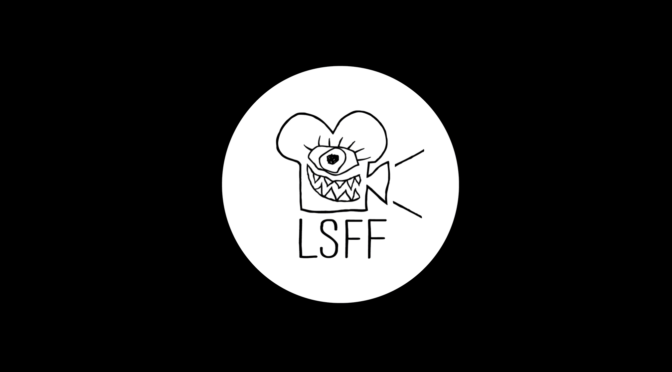 Day Two of the London Short Film Festival takes us over to the East End of London at the Rich Mix cinema, known for its celebration of arthouse and encouragement of Indie cinema in Shoreditch. The first selection, titled Blue Monday, which takes us into the lives of a myriad of people and their bluest of days. Fairly politically and socially charged, as much of the selection is this year; this collection was exceptionally brilliant as stand-alone pieces, but collectively cover the inner strength of the individuals battling to make it through in a variety of fierce, gentle and thoughtful ways. One of the most popular shorts on the festival circuit across the past few months is Charlotte Wells’ BLUE CHRISTMAS, (you can read our editor’s interview with Charlotte here). Located on the orphic Scottish coast in 1968, audiences are brought firstly into the home of debt-collector Alec (Jamie Robson), who is profusely sweating as he does rigorous push ups, a pained look reflecting from his face. Clearly struggling with his wife’s declining psychosis, and the burdening pressure this places on their young son, he sets off on his Christmas Eve rounds of collecting, appearing utterly unfazed by people’s objection to him doing this during the festive season. He goes unrelentingly going from door to door, avoiding home at least for a few hours and immerses himself into the one thing he can control: his job. The piece is shot beautifully, the artistic pastel tones mirroring the softness of the film with the underlying harsh reality of his situation. His fleeting conversations with an acquaintance in their VW beetles, skimming over his situation and pretending like it’s all together; because it’s so much easier than having to deal with his reality. The final scene is arguably the most torturous of all; the flames blazing as they dance in the smoke; two souls struggling with such different pains, united in their release. It touches upon such perceptive concepts of societal expectations and personal battles. Having also screened at the 2018 Cambridge Film Festival, MOTHERING delivers the same kind of touching, relatable impact each viewing. Mia is welcomed into her new foster home; which is awkwardly endearing. Small talk is made between her new mum and grandmother, which is very adult centric and means well, as they navigate this new found relationship. But as the night draws in, her period comes and anyone’s heart would go out as she struggles with a complete overload of emotion and physical changes. 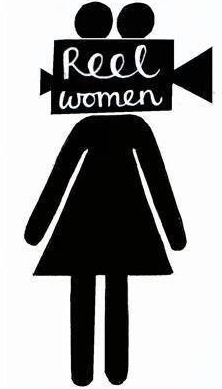 But the grandmother knows how to help, is compassionate without patronising, talks openly about the symptoms of her menstrual cycle and how to use sanitary items; which helps to breakdown taboos around the subject. There is a sentiment of wisdom in age, but in such a gentle manner. The deepened burgundy of the kitchen curtains being notably connotative of how one small incident can feel utterly overpowering on top of other struggles. But there are also warming humorous moments too, her dislike of vegetables but politely eating them, and trying to engage in conversation when she can. A coming of age piece between women, that is symbolically relatable to many of us. Human and worker rights are a serious issue of the modern age, and HOLD is no exception to this, in candidly exploring the issues that come with change and protest. The protagonist is seen talking with her colleague about having a wage discussion with their boss, understanding their unfair pay are an exploitation of their human rights, but have to also manage the expectations of their families. The shots are clear, crisp and bold; focusing predominately on people’s expression and reaction, how a person’s physicality can say so much more than words and of measuring the hermetic atmosphere in the room. The confrontational situation with her husband, who threatens to return to Brazil with her son because her involvement in the protest caused her to be suspended from her work; exemplifies the other side of traditional expectations that many immigrants face. There is so much overpowering emotion and anger, but also a sharing of being kindred spirits in her friendship with her colleagues, and slowly becoming proud of the life she has created. O’Donnell steers the film through the highs of small rebellions, but also the inventible shortcomings that progress takes time. Rome was not built in a day, and changing unethical corporative practices cannot happen from one march, yet her personal progressiveness sparks the reassurance to keep trying. Perhaps one of the most intricately reflective pieces of the festival, RED HILL explores loneliness in old age in such a gentle yet intrusive way. Jim is an ex-miner from an industrial town in the highlands, struggling with the isolation of living alone, and filing his nights as a security guard of the former mine. The film explores many of the familiar traits of entering a new stage in life; of which we do not garner many details but is insightful in different ways. The support group he attends discusses activities, goals and aspirations for those entering retirement, many of which look at bereavement, family, travelling etc. but takes the common assumption that as you get older you always have the same body of people around you. One cannot help but have this overbearing sadness for him, sat alone making toast with the radio on, barely speaking to another soul but with so much hope in his eyes. The worn out home is soulful and encompasses his life, it’s not much but its home which is a musing buried deep in one’s core of considering what we truly hold close. It’s a reminder of the North’s past, and the struggles many faced when losing all they had once known in their communities; what purpose is left behind too? His silhouette is beamed from the harsh electric lights of the rubble, a soul left wandering, clinging onto the last thing he has left. For losing work does not mean losing who you are, but how we use structure to support our lives and the chronic solitude the older generation face. Lost for words at the end brimming with tears, left many of us lost for words too. Expressionless, yet emotionally charged; the look from our protagonist in the opening shot buries to one’s soul. The audience is permitted a look through his eyes, as his clothes start to shrink and the room becomes claustrophobic. The drawn dust and lack of light in his house screams of depression and isolation, fearfully glimpsing. Yet there is a transformative burst as we learn of his pinnacle role in his Jamaican community. Cheerful as anything, adored by those around him, he heads to work in the café kitchen, chatting with the regulars, but you feel this relenting pound of his mind reminding him of his internal subconscious disillusionment with the world. Miller brings forth the distorted vision, as the sounds become more intense and is atmospherically explosive. It is visually tense, and one may feel their chest becoming tighter as he starts to let his guard down, and the emotional charge of piece is unsettling. But it is a pain shared in the community, and how he opens up lets out the flow of emotions and finding the strength to say one cannot cope. The final cut of them all sat together, saying little but this relative feeling is now one they can all be a part of, and process the issues they face together rather than in isolation. FACING IT is as direct as it comes in terms of its concept, with the film’s format being that of clay animation that is continuously flowing, moving and evolving. All colours have a symbolic presence, and the young chap in the pub has varying shades of blue swirling around, as he anxiously awaits at the bar. However, many of the other punters appear have shades of yellows and pinks, bright tones that are radiant and beaming, yet every time he tries to speak or mention something positive or confident, a hand from his skin reaches out to control his response and damns him into silence. Every single struggle you are immersed into, his inner feverish attempts, the lumps of clay splattering around him hopefully. The flashbacks to his life as a child with his parents is tense, they too of blueish hues, having crusted into their state as he reaches out for approval or happiness. The style of animation is so fluid and captivating, its stop-motion aesthetics carrying viewers through his story, becoming his cheerleader that one day he might find his voice. Shot in a stark, contrasting black and white, cabalistic in form, LANDSHARKS is a short piece that explores the cruel nature of poverty in the 21st century, and how it affects family members of all ages. A young teenage boy trying to help out his mum is befriended by other kids on the estate, their slight age advantage seemingly manipulative and deceptive despite coming across as kind. The boy becomes entwined in the web of an underground Loan Shark and his band of teen cronies, but keeps a strong face on in the face of adversity at every corner. The shrewd cruelness of the gang, only just kids themselves is distressing as hindsight allows you to plainly see the trouble he is walking into; however, this is the world that the gang has been brought up in and so are only trying to make a living also and get by, clearly under the manipulation of elders living in the area. Tucked away on the estates, it’s clear how austerity is consistently crippling working class people and it is the younger generation that are suffering for it and taking away their opportunities. The lack of colour in the film is a grim reflection of the situation and the widening sinkhole that exploitation is at its core. Dunleavy puts forward a realistic piece that does not sugar-coat the situation, but should spark anger in those watching – hoping for something more.